This is a sister company to another company I do work for - Pharmacy Prime. 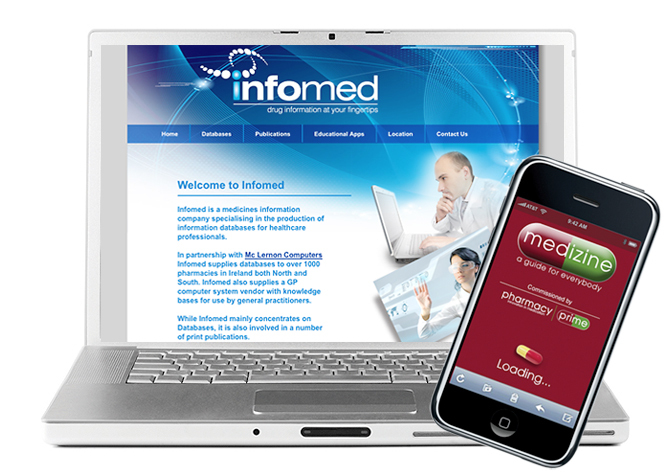 Infomed Ltd, based in Mallow, Co. Cork, Ireland, is a company that was set up to database all the different types of drugs and medication out on the market today. I designed the logo, stationery and designed and designed and built the website. I am also working on a series of drug Web Apps that can be viewed on the iPhone, iPad, iPod and any smart phone. These sound bites of medical information will build up into an entire medical encyclopedia that will be a great resource for nurses and health professionals. Each App has a set of multiple choice questions after the sections of information where the viewer can test their new found knowledge.